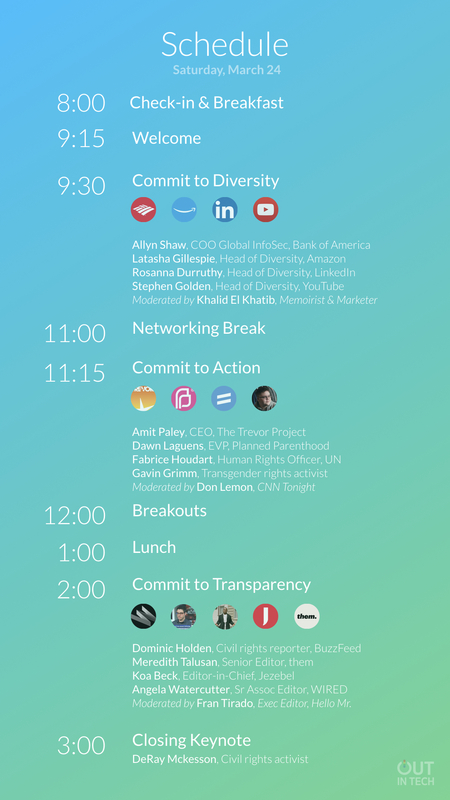 Out in Tech Talks 2018 will bring together 400 LGBTQ+ techies, and those who love us, for a day of panels, rapid talks, networking, and a closing celebration. 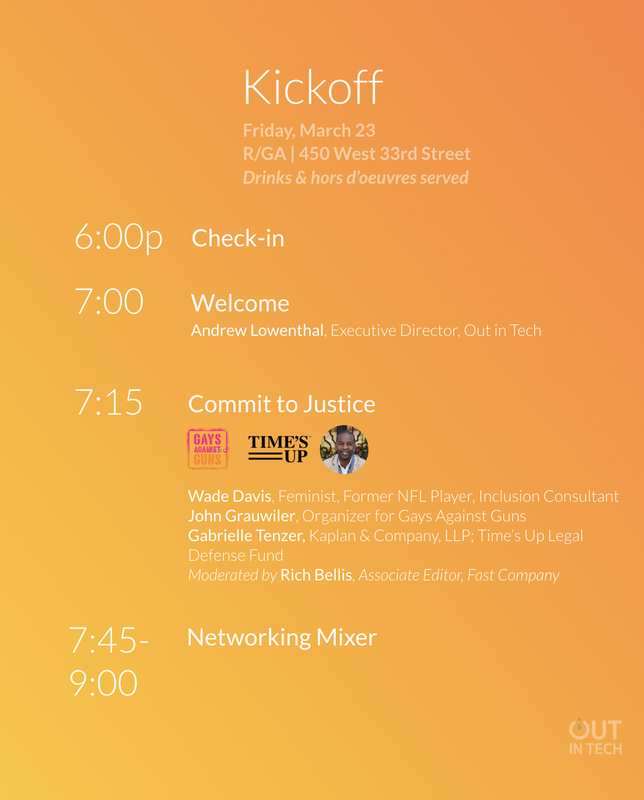 We’ll explore concrete actions that we can all take to move the needle on diversity in tech, and how tech can advance social change. 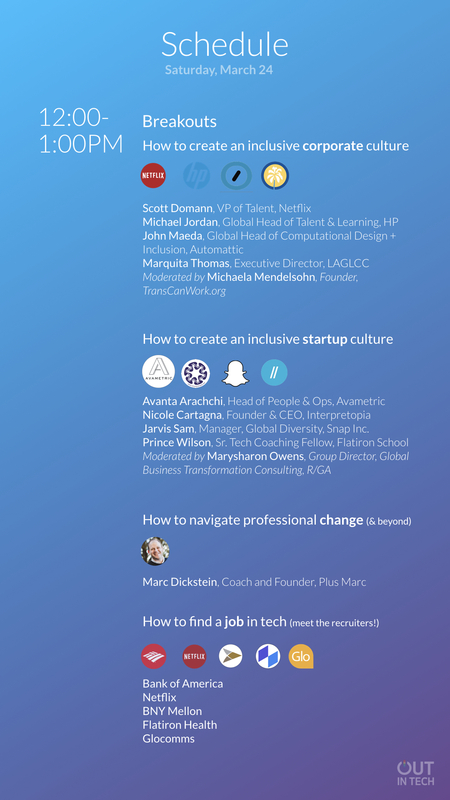 Wanna meet our speakers & see the full schedule? Thought you’d never ask.